Welcome to Addicted to Beauty! The services on this site are offered to you by Beauty Imports Inc., parent company of Addicted to Beauty. For the rest of this text, Addicted to Beauty will be used, but it is understood that Addicted to Beauty is a part of Beauty Imports inc. When you use Addicted to Beauty (“addictedtobeauty.com”, ” Addicted to Beauty “, “we”, “our”, “us”) you understand that you are subject to the following conditions. If you visit or shop at addictedtobeauty.com, you accept and agree to abide by these conditions. Please read them carefully. When you use any current or future addictedtobeauty.com service, you will be also subject to the guidelines and conditions applicable to such service or business. Before placing an order, if you have any queries relating to these terms and conditions, please email our customer service team at info@addictedtobeauty.com. BY USING THE ADDICTEDTOBEAUTY.COM SITE AND THE SERVICES OFFERED THROUGH IT, YOU AGREE TO BE BOUND BY THESE CONDITIONS OF USE AND ALL RELATED POLICIES, CONDITIONS, AND GUIDELINES. IF YOU DO NOT AGREE WITH ANY OF THESE CONDITIONS OF USE, YOU MAY NOT USE THE ADDICTEDTOBEAUTY.COM SITE. When you visit ADDICTEDTOBEAUTY.COM or send e-mail to us, you are communicating with us electronically. You consent to receive communications from us electronically. We will communicate with you by e-mail or by posting notices on the ADDICTEDTOBEAUTY.COM site. You agree that all agreements, notices, disclosures, and other communications that we provide to you electronically satisfy any legal requirement that such communications be in writing. 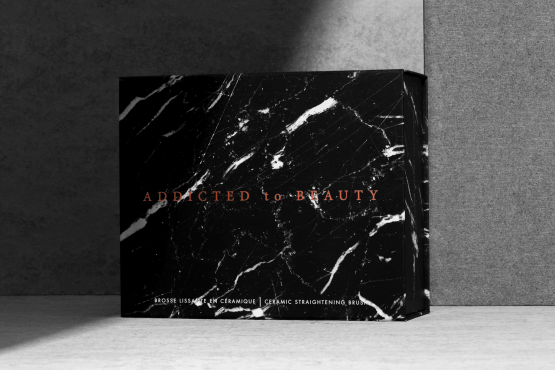 All content included on the ADDICTEDTOBEAUTY.COM site – such as text, without limitation, graphics, logos, button icons, images, audio clips, digital downloads, data compilations, and software – is the property of ADDICTEDTOBEAUTY.COM or content suppliers, and is protected by Canadian and international copyright laws. The compilation of all content on the ADDICTEDTOBEAUTY.COM site is the exclusive property ADDICTEDTOBEAUTY.COM and protected by Canadian and international copyright laws. All software used on the ADDICTEDTOBEAUTY.COM site is the property ADDICTEDTOBEAUTY.COM or its software suppliers, and protected by Canadian and international copyright laws. ADDICTEDTOBEAUTY.COM, Addicted to Beauty, and other marks indicated on our site are trademarks or registered trademarks of Beauty Imports Inc. in Canada and other countries. Addicted to Beauty graphics, logos, page headers, button icons, scripts, and service names are trademarks of Addicted to Beauty. Addicted to Beauty’s trademarks may not be used in connection with any product or service that is not Addicted to Beauty’s, in any manner that is likely to cause confusion among customers, or in any manner that disparages or discredits Addicted to Beauty. All other trademarks not owned by Addicted to Beauty or its affiliates that appear on the ADDICTEDTOBEAUTY.COM site are the property of their respective owners, who may or may not be affiliated with, connected to, or sponsored by Addicted to Beauty. Addicted to Beauty grants you a limited license to access and make personal use of the ADDICTEDTOBEAUTY.COM site, and not to download (other than page caching) or modify it, or any portion of it, except with the express written consent of Addicted to Beauty. This license does not include any resale or commercial use of the ADDICTEDTOBEAUTY.COM site or its contents; any collection and use of any product listings, descriptions, or prices; any derivative use of the ADDICTEDTOBEAUTY.COM site or its contents; any downloading or copying of account information for the benefit of another merchant; or any use of data mining, robots, or similar data-gathering and extraction tools. ADDICTEDTOBEAUTY.COM site or any portion of it may not be reproduced, duplicated, copied, sold, resold, visited, or otherwise exploited for any commercial purpose without the express written consent of Addicted to Beauty. You may not frame or utilize framing techniques to enclose any trademark, logo, or other proprietary information (including images, text, page layout, or form) of Addicted to Beauty without express written consent. You may not use any meta tags or any other “hidden text” utilizing Addicted to Beauty’s name or trademarks without the express written consent of Addicted to Beauty. Any unauthorized use terminates the permission or license granted by Addicted to Beauty. You are granted a limited, revocable, and nonexclusive right to create a hyperlink to the ADDICTEDTOBEAUTY.COM home page, so long as the link does not portray Addicted to Beauty or our products or services in a false, misleading, derogatory, or otherwise offensive matter. You may not use any Addicted to Beauty logo or other proprietary graphic or trademark as part of the link without express written permission. If you use the ADDICTEDTOBEAUTY.COM site, you are responsible for maintaining the confidentiality of your account and password, as well as for restricting access to your computer, and you agree to accept responsibility for all activities that occur under your account or password. If you are under 18, you may use ADDICTEDTOBEAUTY.COM only with involvement of a parent or guardian. Addicted to Beauty reserves the right to refuse service, terminate accounts, remove or edit content, or cancel orders at our sole discretion. When you place your first order, we will save your credit card information for use on future purchases. Your card will be billed for any recurring orders or subscriptions you initiate. We accept Visa and MasterCard as forms of payment. We encourage you to keep your payment information up to date to avoid interruption of service. See return and exchange page on the website. This site, addictedtobeauty.com, can be accessed from countries other than the United States and Canada. Addicted to Beauty may offer products or references to products that are not available outside of the United States and Canada. Any such products or references to products do not imply that such products will be made available outside the United States and Canada. If you access and use www.addictedtobeauty.com outside the United States and Canada you are responsible for complying with your local laws and regulations. Visitors may post reviews, comments, and other content; and submit suggestions, ideas, comments, questions, or other information, as long as the content is not illegal, obscene, threatening, defamatory, invasive of privacy, infringing of intellectual property rights, or otherwise injurious to third parties or objectionable, and does not consist of or contain software viruses, political campaigning, commercial solicitation, chain letters, mass mailings, or any form of “spam.” You may not use a false e-mail address, impersonate any person or entity, or otherwise mislead as to the origin of a card or other content. Addicted to Beauty reserves the right (but not the obligation) to remove or edit such content, but does not regularly review posted content. If you do post content or submit material, and unless we indicate otherwise, you grant Addicted to Beauty a nonexclusive, royalty-free, perpetual, irrevocable right to use, reproduce, modify, adapt, publish, translate, create derivative works from, distribute, and display such content throughout the world in any media. You grant Addicted to Beauty the right to use the name that you submit in connection with such content, if we choose. You represent and warrant that you own or otherwise control all the rights to the content that you post; that the content is accurate; that use of the content you supply does not violate this policy and will not cause injury to any person or entity; and that you will indemnify Addicted to Beauty for all claims resulting from content you supply. Addicted to Beauty has the right but not the obligation to monitor and edit or remove any activity or content. Addicted to Beauty takes no responsibility and assumes no liability for any content posted by you or any third party. Addicted to Beauty respects the intellectual property of others. If you believe that your work has been copied in a way that constitutes copyright infringement, please contact us immediately at info@addictedtobeauty.com. All items purchased from Addicted to Beauty are made pursuant to a shipment contract. This means that the risk of loss and title for such items passes to you upon our delivery to the carrier. Addicted to Beauty has made every effort to display as accurately as possible the colours of our products that appear on the website. However, as the actual colours you see will depend on your monitor, we cannot guarantee that your monitor’s display of any colour will accurately reflect the colour of the product on delivery. Addicted to Beauty attempts to be as accurate as possible. However, Addicted to Beauty does not warrant that product descriptions or other content of the ADDICTEDTOBEAUTY.COM site are accurate, complete, reliable, current, or error-free. If a product offered by ADDICTEDTOBEAUTY.COM is not as described, please contact our customer service department at info@addictedtobeauty.com. You shall not use Addicted to Beauty’s Website or materials to past, transmit, upload, distribute or publish any content that is libelous, seditious, defamatory, blasphemous, fraudulent, invasive of another’s privacy, tortuous, obscene, pornographic, abusive, infringing or otherwise illegal, as determined in the sole discretion of Addicted to Beauty. You agree to comply with all applicable local, provincial, federal and international laws, regulations and treaties while using this site. In addition, while using the website in accordance with these terms as modified from time to time, you agree to comply with generally accepted internet standards and shall refrain from any abusive use of this site. ADDICTEDTOBEAUTY.COM SITE IS PROVIDED BY BEAUTY IMPORTS INC ON AN “AS IS” AND “AS AVAILABLE” BASIS. ADDICTED TO BEAUTY MAKES NO REPRESENTATIONS OR WARRANTIES OF ANY KIND, EXPRESS OR IMPLIED, AS TO THE OPERATION OF THIS SITE OR THE INFORMATION, CONTENT, MATERIALS, OR PRODUCTS INCLUDED ON THIS SITE. YOU EXPRESSLY AGREE THAT YOUR USE OF THIS SITE IS AT YOUR SOLE RISK. TO THE FULL EXTENT PERMISSIBLE BY APPLICABLE LAW, Addicted to Beauty DISCLAIMS ALL WARRANTIES, EXPRESS OR IMPLIED, INCLUDING, BUT NOT LIMITED TO, IMPLIED WARRANTIES OF MERCHANTABILITY AND FITNESS FOR A PARTICULAR PURPOSE. Addicted to Beauty DOES NOT WARRANT THAT THE ADDICTEDTOBEAUTY.COM SITE, ITS SERVERS, OR E-MAIL SENT FROM ADDICTEDTOBEAUTY.COM ARE FREE OF VIRUSES OR OTHER HARMFUL COMPONENTS. Addicted to Beauty, ITS PARTNERS, AFFILIATES AND SUPPLIERS AND EACH OF THEIR RESPECTIVE DIRECTORS, OFFICERS, EMPLOYEES, CONSULTANTS, AGENTS, REPRESENTATIVES AND SUPPLIERS WILL NOT BE LIABLE FOR ANY DAMAGES OF ANY KIND ARISING FROM THE USE OF THE ADDICTEDTOBEAUTY.COM SITE, INCLUDING, BUT NOT LIMITED TO, DIRECT, INDIRECT, INCIDENTAL, PUNITIVE (INCLUDING, WITHOUT LIMITATION, THOSE DAMAGES RESULTING FROMLOST PROFITS, LOST DATA OR BUSINESS INTERRUPTION), AND CONSEQUENTIAL DAMAGES. Links to third party Websites on this site are provided solely as a convenience to you. If you use these links, a new browser will be lodged to access linked Websites. Addicted to Beauty has not reviewed these third party Websites and does not control and is not responsible for any of these Websites or their content. Addicted to Beauty does not endorse or make any representations about them, or any information, or other products or materials found there, or any results that may be obtained from using them. If you decide to access any of the third party Websites linked to this site, you do this entirely at your own risks. You acknowledge and agree that Addicted to Beauty, in its sole and absolute discretion may, without notice to you, suspend or terminate your use of, or access to the Website, for any services and remove and discard any related materials for any reason, including where Addicted to Beauty believe that you have violated any of these terms. You agree that Addicted to Beauty shall not be liable to you or to any person as a result of any such suspension or termination. If you are unsatisfied with any of these terms, please discontinue using this Website. You acknowledge that you are using this site including its materials at your own risks. Addicted to Beauty and its partners, affiliates and suppliers do not guaranty error-free or uninterrupted operations of this site. The products, services and information provided on this site are provided “as is” without any warranties of any kind including warranties of merchantable quality, fitness for particular purpose, or non infringement of intellectual property. Addicted to Beauty and its suppliers do not warrant the accuracy and completeness of materials available on or throughout this site. The materials on this site may be out of date, and Addicted to Beauty makes no commitment to update the materials. Information published on this site may refer to products, programs or services that are not available on your jurisdiction. Applicable law may not allow the exclusion of implied warranties, so the above exclusions may not apply to you. You shall indemnify and forever save harmless Addicted to Beauty, its partners, affiliates, parent company, and suppliers and each of their respective directors, officers, employees, consultants, agents and suppliers from and against any and all claims, demands, actions, suits, losses, costs, charges, expenses, damages and liabilities (including legal fees) which may be incurred by reason of or in connection with your use of this site. By visiting the ADDICTEDTOBEAUTY.COM SITE, you agree that the laws of the Province of Quebec and the laws of Canada, without regard to principles of conflict of laws, will govern these Conditions of Use. The courts of the Province of Quebec shall have exclusive jurisdiction over all disputes. You agree that jurisdiction and venue in such courts is appropriate and you agree to submit to the jurisdiction of such courts. Addicted to Beauty may revise these terms at any time by updating this posting. You should visit this page from time to time to review the then-current terms because they are binding on you and your continued use of this site signifies your acceptance of these revised terms. Certain provisions of these terms may be superceeded by expressly designated legal notices or terms located on particular pages of this site. Addicted to Beauty will not be considered to have waived any of its rights or remedies described in these terms unless the waiver is in writing and signed by Addicted to Beauty. No delay or omission by Addicted to Beauty in exercising its rights or remedies will impair or be considered as a waiver of its rights to enforce such rights at any time. YOUR CONTINUED USE OF THIS SITE FOLLOWING THE POSTING OF ANY CHANGES OR REVISIONS WILL CONSTITUTE YOUR ACCEPTANCE OF SUCH CHANGES OR REVISIONS. IF YOU DO NOT AGREE TO ANY CHANGES OR REVISIONS TO THESE CONDITIONS OF USE, YOU MAY NOT USE THE ADDICTEDTOBEAUTY.COM SITE AND ARE TO DISCONTINUE USE OF THE SITE IMMEDIATELY. If any of these conditions shall be deemed invalid, void, or for any reason unenforceable, that condition shall be deemed severable and shall not affect the validity and enforceability of any remaining condition. Addicted to Beauty promotional offers may be subject to promotion specific guidelines and restrictions. In addition to these promotion specific conditions, all regular Addicted to Beauty terms and conditions still apply as usual and are applied at the discretion of Addicted to Beauty management. Orders placed, that infringe on these guidelines can and will result in the cancellation of said order and will be treated as fraudulent.